For more than 20 years, Robert Meyer has been developing and building real estate properties. His real estate career began in the early 1960s with residential development and construction. He has since expanded into a broad range of real estate projects and activities, with experience in all phases of construction sub-contracting to full-service general contractor. Meyer Properties, Inc. is a fully integrated development company providing all services from site acquisition through property management. To date, Meyer has built more than 9 million square feet of industrial, commercial and office space throughout California--including business centers and luxury office buildings. He developed a major residential and income property at his Silverado Country Club and Resort in Napa, California. Meyer developments have a tradition of long-term appreciation of value, based on a combination of: excellent locations; functional design; quality construction and considerate and efficient management. Historically, Meyer has acquired raw land at sites within regions where migration trends and market conditions support active real estate development. 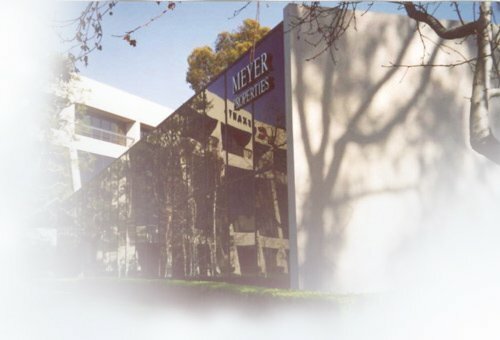 During the 1979 to 1983 real estate down cycle, Meyer made significant land acquisitions at advantageous prices and secured building entitlements. With the real estate market uptrend, each investment has experienced excellent appreciation and market demand. Foresight in selecting building sites that offer prime market conditions and exceptional growth potential. An experienced team of professionals to develop, build and manage the properties. Attention to details to ensure quality functional projects for long-term equity accumulation and appreciation of value. Long-term, successful relationships with lending institutions. Diversification of assets within the real estate industry and other industries that generate strong cash flows.